During a televised address in Beirut on Friday Hezbollah Secretary General Sayyed Hassan Nasrallah once again warned Israel to back off its claims over disputed oil and gas field just off the southern Lebanese coast, threatening that Hezbollah could "disable [Israel’s offshore oil installations] within hours." "If you prevent us, we prevent you; if you open fire at us, we will open fire," Nasrallah threatened. The dispute over the eastern Mediterranean gas field goes back to January 2017, but blew up starting in late January of this year as it has been put up for tender by Lebanon and is expected to be developed by an international consortium of energy companies. 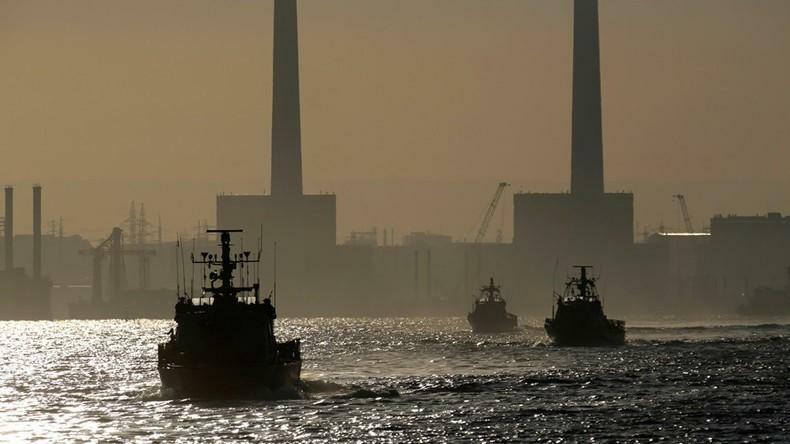 However, as we reported at the time Israel has aggressively pushed for major sectors of the field to be internationally recognized as lying within its rightful territorial waters, going so far as to warn "respectable" companies from participating in the tender, which would be a "major mistake". Israeli Defense Minister Avigdor Lieberman said in late January, "They [Lebanon] are announcing a tender on the gas field, including Block 9, which is ours by any definition," and Lebanese actions "very, very challenging and provocative conduct here." "Lebanese officials previously announced plans to begin exploratory drilling in 2019. Israel is already producing gas at the Tamar field and expects to bring the much larger Leviathan field online next year. For context, the specific contested area at the heart of the recent spat, nicknamed Block 9, extends over an area of roughly 854 square kilometers," according to RT. Map source: Jon Oronero via Medium. But the Lebanese have remained unmoved, with Lebanese President Michel ‘Aoun having repeatedly slammed the Israeli threats on Block 9, vowing to defend the country’s territorial waters. But more importantly Hezbollah has made it a central issue, and unlike the Lebanese Army, has displayed a willingness to act on its rhetoric in the past. Though Israel and Lebanon have remained technically at war after the last major Israeli invasion in 2006, Lebanon has moved forward with the exploration without hesitation, and held a signing ceremony with three oil companies attended by President Aoun over a week ago. The companies are Italy’s Eni, France’s Total and Russia’s Novatek, according to the AP. Lebanon’s Energy Minister Cesar Abi Khalil told reporters at the signing ceremony that there is no reason "that they should not speed the process and they should start right away." Meanwhile Nasrallah's Friday speech made the gas dispute the central theme, and even warned Israel's American backers to not intervene. Appealing directly to Israeli leadership, the Hezbollah leader said, "If you prevent us, we prevent you; if you open fire at us, we will open fire." “In the battle for oil and gas, the only power you have, you the Lebanese people, is the resistance, because the Lebanese army is not allowed to own missiles,” Nasrallah said. And concerning what he described as "US interference" in the region’s diplomacy, he said "The Americans are not honest mediators, especially when the other party is the Israeli entity." Nasrallah further addressed US Secretary of State Rex Tillerson's controversial visit to Beirut last week where he met with President Aoun and Prime Minister Saad al-Hariri. Tillerson had condemned Hezbollah as the chief threat to Lebanese unity and security. America is not an honest broker. And you have to deal with the American medator as an attorney for Israel. It's not three parties inolved - the Lebanese are negotiating with the Israelis who are being represented by Tillerson... but the Americans don't care about Lebanon's interests at all, they care only about the interests of the Zionists, and they want to deny us the maximum that they can from our waters and our resources in favor of the Zionists. The Hezbollah leader further said that the US military remains in Syria even after the demise of the Islamic State because it wants to maintain control over Syria's natural resources, especially the old field's in the countries East, now occupied by US forces in support of the Syrian Democratic Forces. 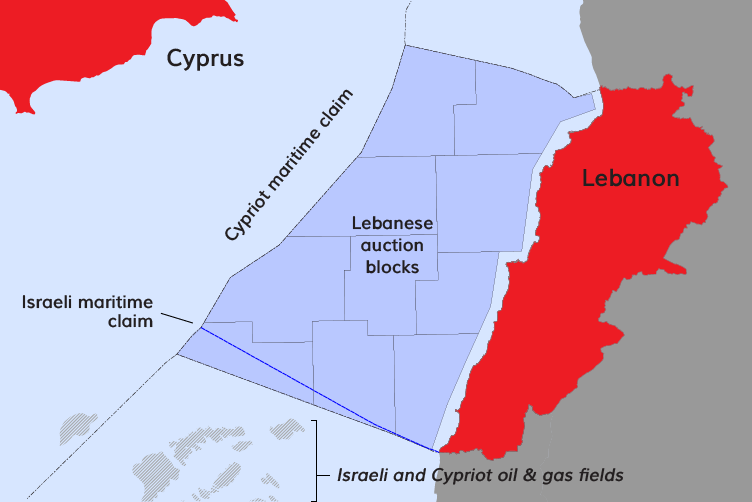 According to Israel's Ynet News, Hezbollah activists in Lebanon have recently been disseminating flyers which read: "Whoever harms gas and oil sites in Lebanese economic waters, their own sites will be harmed, and they know Lebanon is fully capable of doing so." It goes without saying that the Lebanese gas dispute now involving Hezbollah as a major player, along with Israel's recent direct confrontation over Syria and the downing of the Israeli F-16 means tensions in the region are set to explode.